Looking for a deeper, more intimate relationship with Christ, while at the same time having a fun and positive experience? 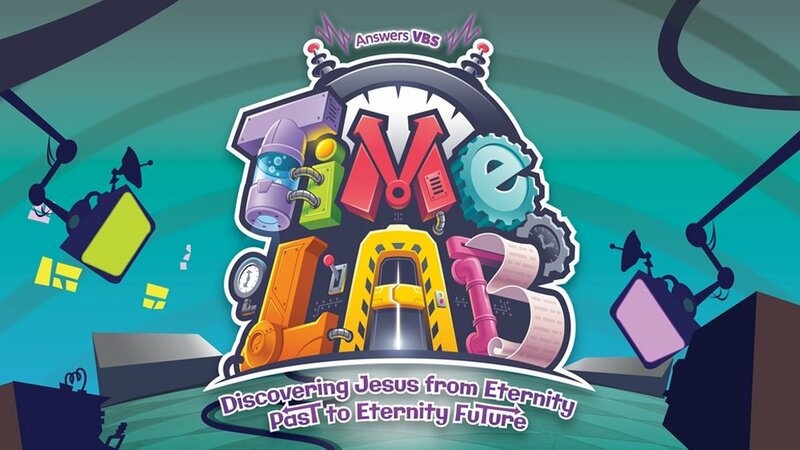 This summer we want students to understand that Christ followers FOLLOW Christ. Although many people in our culture have identified themselves as Christians, there is often a misunderstanding of how Jesus defines following. Even the earliest followers of Christ wrestled with the same question we face today: How do we follow a God we cannot see? This summer we will see how Jesus Himself answers this question, and how He enables us to follow Him through His Spirit and the Church. 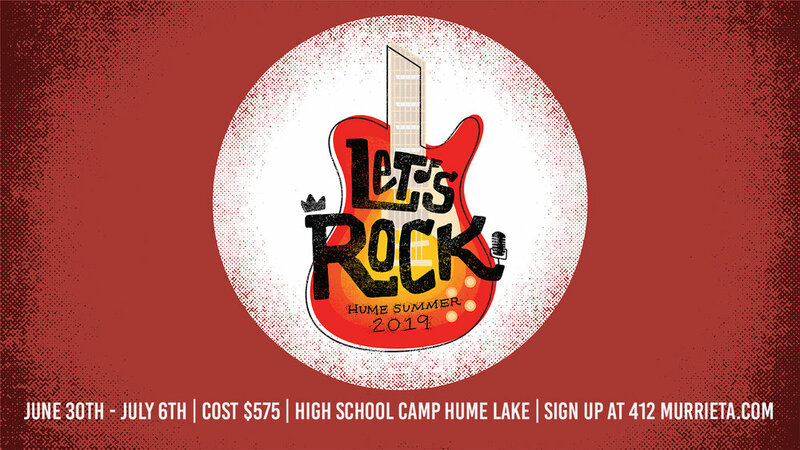 Sign-up today for our High School Christian Camp, taking place in Hume Lake, CA. Hear the gospel, listen to live worship music, and enjoy activities guaranteed to make you want more! A $100.00 deposit is required at time of registration. As Paul closed out his first letter to the Thessalonians, he ended with teaching them the concept of trusting that we can be dependent on God to work in our lives. 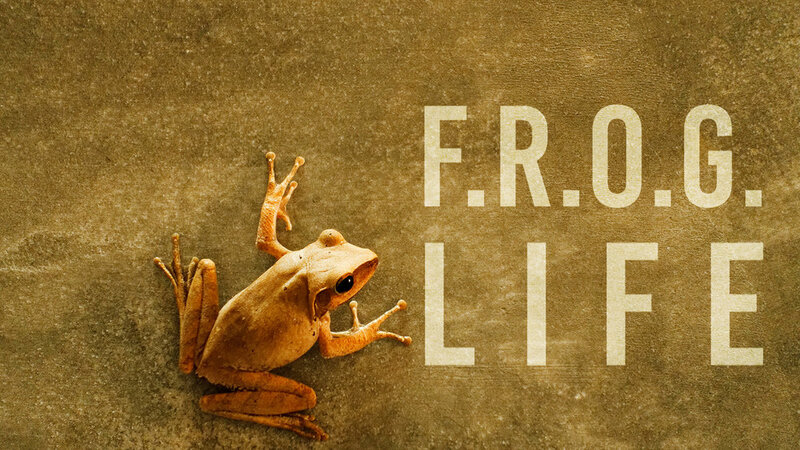 Join us at 412 Church Murrieta for a verse by verse study through Paul’s second letter to the Thessalonians as we approach it with a FROG Life; Fully Relying On God. Is 2019 going to be DIFFERENT? Are you going to be DIFFERENT? 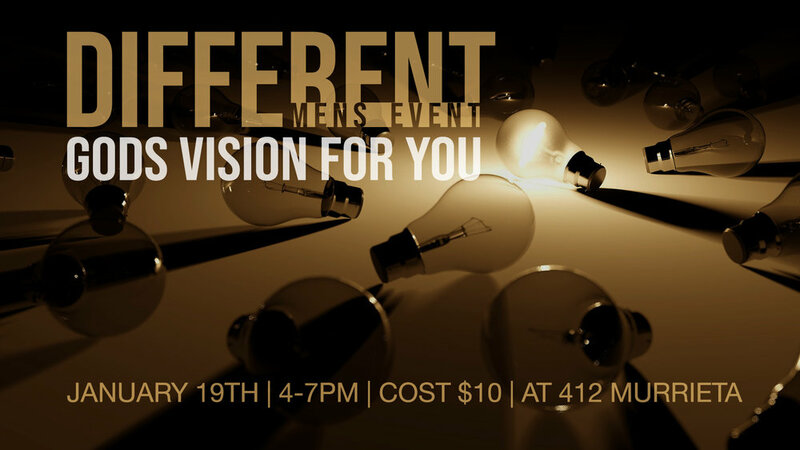 DIFFERENT is God’s vision for your life. He wants you to be DIFFERENT from the rest of the world. How you treat your wife, how you raise your children, how you conduct yourself at work, the conversations you have….all of these things should be drastically DIFFERENT than that of a person who has not chosen to follow Jesus. Come out and hear Pastor James Kaddis lead us in the Word of God to find out how your 2019 can be DIFFERENT. 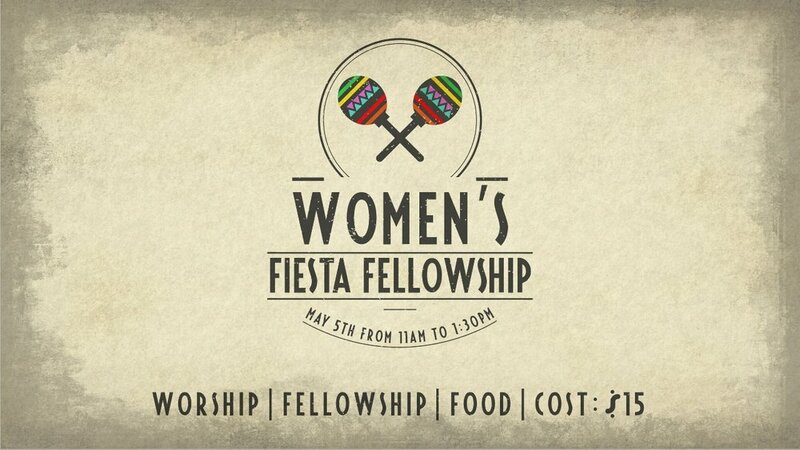 There will be food, worship and a time of fellowship. Cost is only $10, and for an additional $10 you can sponsor a man from Liberty Ranch to attend as well. 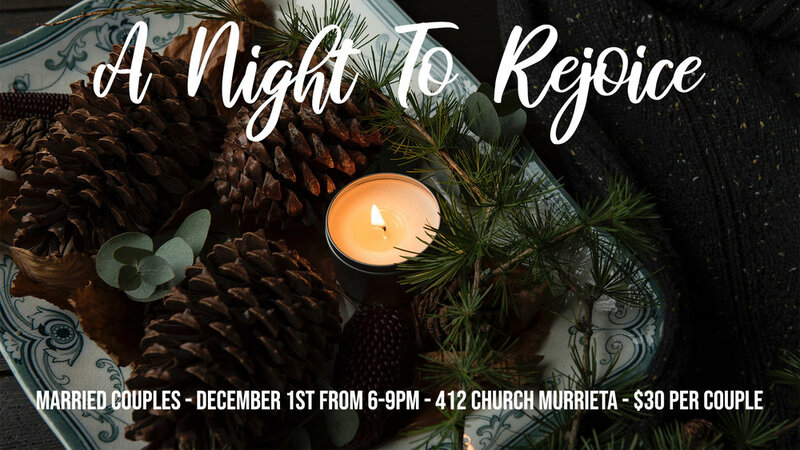 Ladies, you’re invited to Reliance Church for A Christmas Dessert hosted by the Reliance Church women’s ministry. 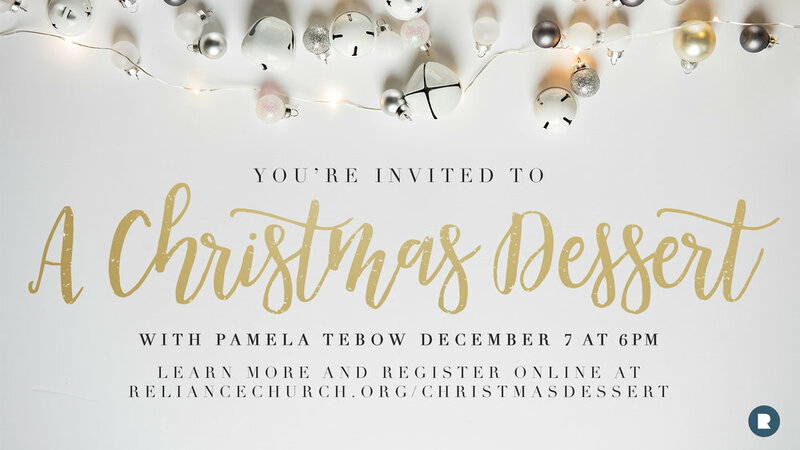 Join us for an evening where we will enjoy dessert, worship our Lord, and listen to special guest speaker Pamela Tebow. You may know the Tebow family. They gained notoriety when her son, Tim Tebow, was the first sophomore to ever receive the Heisman trophy. But Pam is a star in her own right having been a pioneer of the homeschooling movement and helping her husband run the Bob Tebow Evangelistic Association which preaches the gospel to millions of people every year. Pam is also a strong pro-life advocate and is currently writing a book on parenting. So be sure to sign-up today using the form below! Calling all married couples. Come join us for a Christmas dinner. 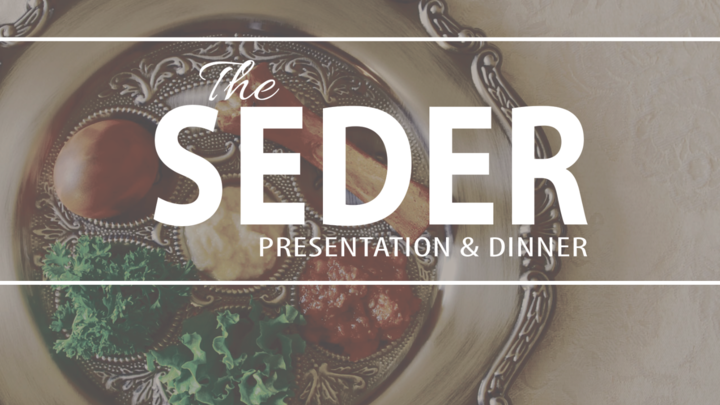 Enjoy a beautiful night of fellowship, desserts, and prizes. We will be holding an ugly sweater contest so dress to impress! 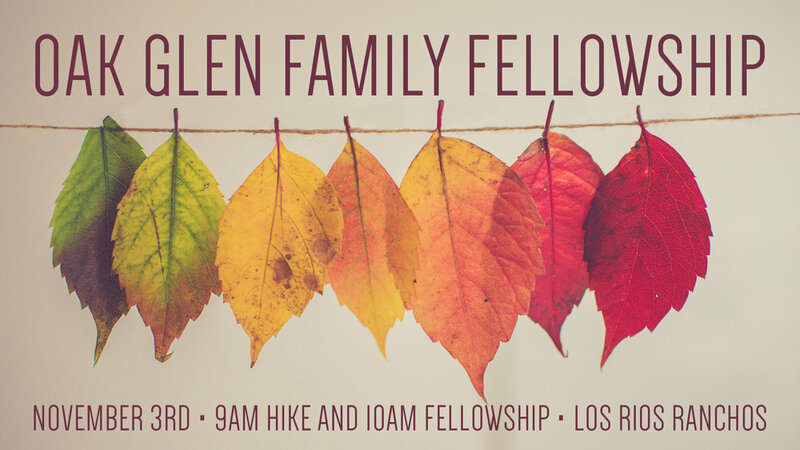 Join 412 Murrieta and Creation Treks for a fun fall day in Oak Glenn. We will meet at 9 a.m. and enjoy an easy nature hike. You will not be able to bring a stroller, but pets are welcome. Enjoy a time of worship and the Word, then lunch on your own. Bring a picnic or enjoy some local eats and treats. For more information contact Gary Avants (951) 833-1608. This a "WIN" event so treat it as an outreach! Bring a friend to this event and get entered into a drawing for one of our various prizes! Every kid will leave with a big bag of candy! The Good News about Jesus is something FOR everyone, it's IN every believer, and it comes FROM the church to others who desperately need it. 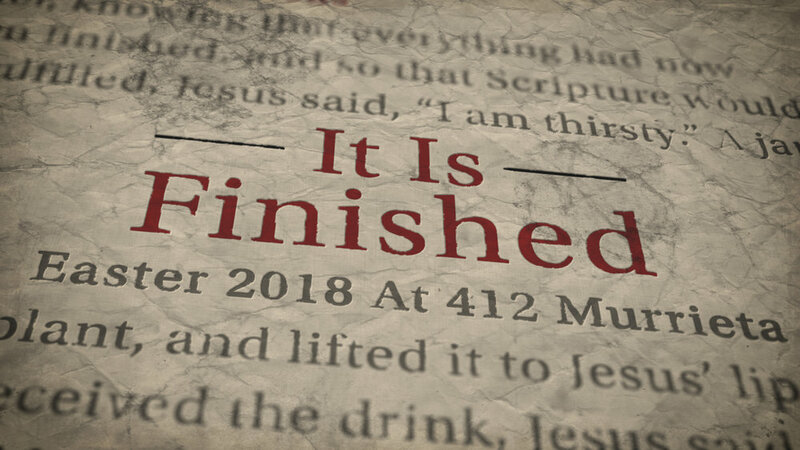 Looking back at Christ’s work on the cross and looking forward to His second coming, believers around the world draw strength, encouragement, and boldness from this powerful letter to one of the early churches. 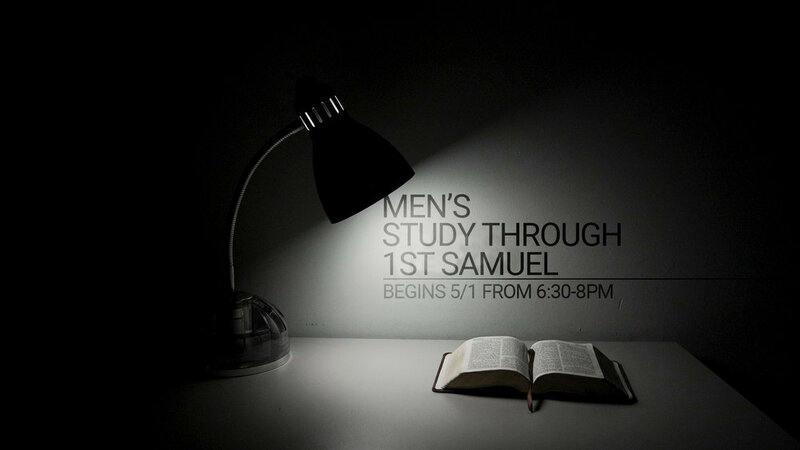 We would like to invite you to join us as we go verse by verse through the book of 1st Thessalonians and find out how we can be "Walking with the Gospel". 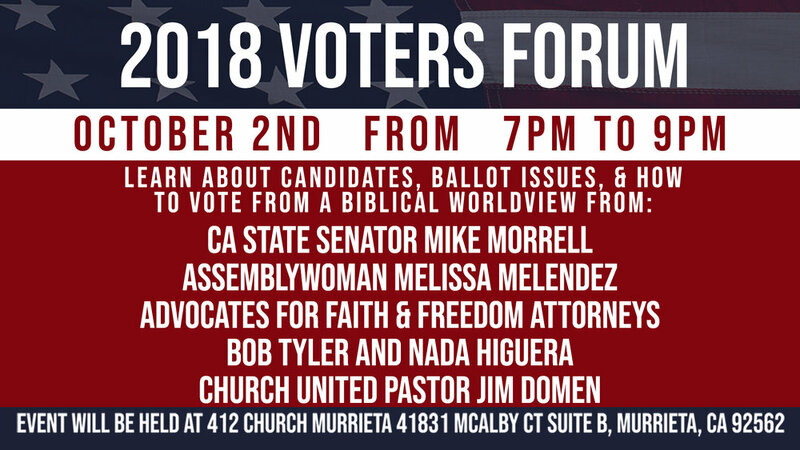 Bring your voter guides with you and be ready to have your questions answered! Bring somebody along to get them registered to vote as we will have voter registration on that night! Can't Sleep? Always up late? Then this is the perfect event for you! 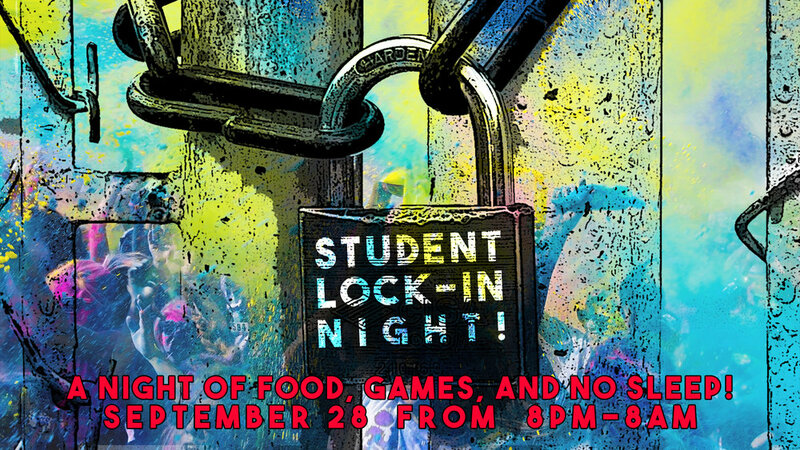 Come join 412 Students for an excitement packed evening with games, food, and no sleep! We will be transforming our church into a fun house that won't leave you disappointed. 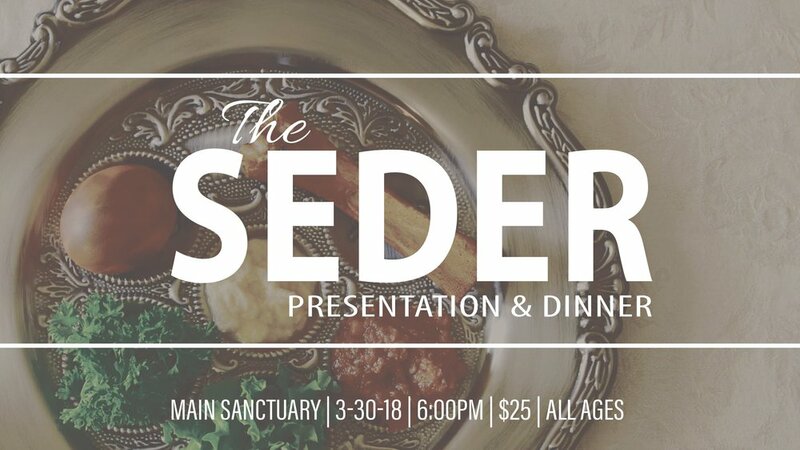 The cost for this event is $15, if you have any additional questions call us at 951-444-7337. Attention 412 ladies! We know how life can get. From telemarketers to traffic jams to twenty-item shoppers in the ten-item line, our lives are full of interruptions. They're often aggravating, sometimes infuriating, and can make us want to tell people what we really think about them. 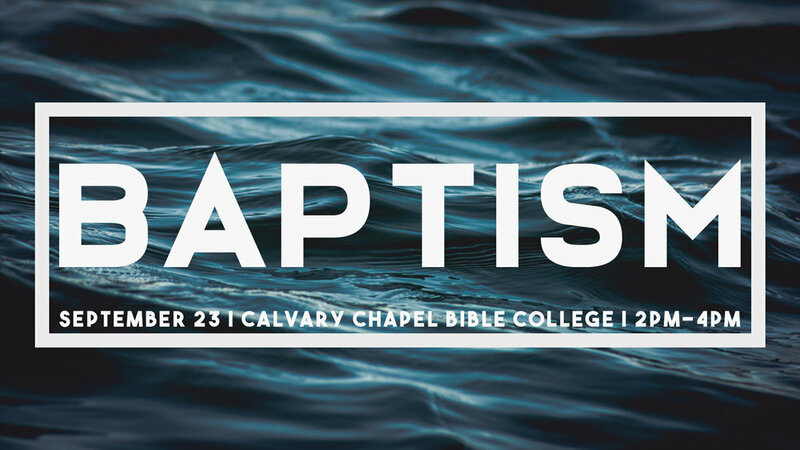 Join us for a time of fellowship at the beautiful Calvary Chapel Bible College campus on September 23rd. Has the Lord been tugging on your heart to be baptized? Then come take this next step in your walk with Christ, and share this experience with your church family. The event will begin after 2nd service at 2:00 PM. You will need to bring a towel, conservative swim wear, and your Bible. Before we start the baptism there will be a class for those being baptized in order to inform and prepare you for the step you are about to take in your walk. This will be a family event for the whole church to show our love and support of those being baptized. Abraham’s son, Isaac, dug four wells and in digging these wells we can find four stages in our own personal walk with Jesus. In this message titled “500 - Digging Your Well” Pastor Tim will share with you his 500th sermon and talk about how each well we dig is a step to the next level with God. Join us for an evening of Baseball and family fun at the Faith & Family Night at Storm Stadium event on Friday July 27th in Lake Elsinore. Gates open at 5:30 PM and game time is 7:00 PM. Please note that an additional parking fee will be charged by the stadium. 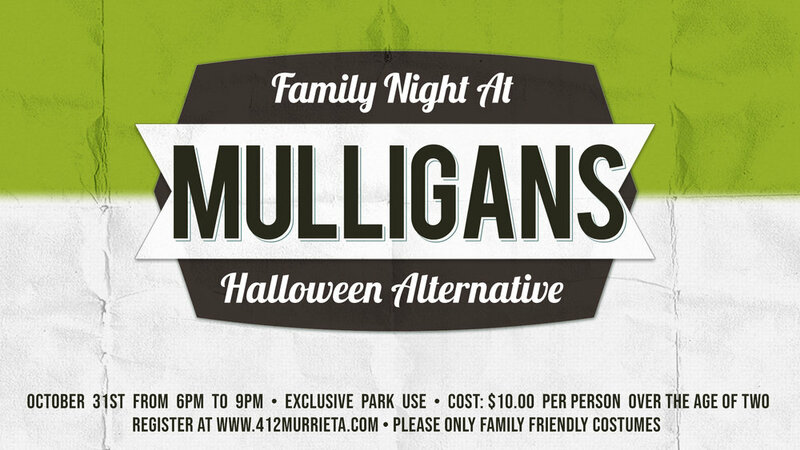 We are looking forward to spending a fun filled night with our Church family and we hope to see you there! Please join us on June 10th at 9:00am and 11:00am as we welcome Evangelist Donald Perkins to teach us the Word of God at 412 Church Murrieta. Evangelist Perkins is the Founder and President of According To Prophecy Ministries. He has devoted over 36 years to the study of God’s Word with a focus on Bible Prophecy. He travels extensively as a well respected speaker on Bible Prophecy for conferences, seminars, Bible studies and local churches and is a true friend to the 412 Church family.